Vitor Belfort is a former UFC Light Heavyweight champion, who announced his retirement after UFC 224 front kick loss to Lyoto Machida on May 12, 2018. Yet, Vitor changed his mind in December 2018. At the end of February 2019, Vitor Belfort followed the footsteps of Eddie Alvarez, Demetrious Johnson, Sage Northcutt, Yoshihiro Akiyama, and Yushin Okami, and joined Singapore-based promotion ONE FC. “One fight that I’d really like, I told Chatri [Sityodtong] I’d really like to put on this fight, is me vs. Roy Jones Jr. So Roy, wherever you are, I want to come challenge you for a boxing match — but with this condition. I’m going to be able to dirty box with you. Roy Jones Jr. recently spoke to TMZ, where he replied positively to Belfort’s challenge. “This is what I do for a living. Y’all must’ve forgot. That’s who I am. I love a battle. I love a challenge. So, if that’s what you want, that’s what you get. Ain’t like you gotta ask me twice,” Jones said. Roy Jones Jr. would like at least 8-week training camp to prepare for Vitor Belfort but thinks six weeks would be enough to secure a win too. “Well, I would like eight weeks, cause I like to get right. I need two extra weeks just to make sure I can showboat. But, six weeks, I can whip you,” Jones said. “I got nothing but the utmost respect for you. You were a helluva MMA fighter. You one of the best of all time. But, when it comes to boxing, this is what I do. I’m the ruler. I’m the king of this thing. Despite he is 50 years old, Roy Jones Jr. still fights. Jones boxed Scott Sigmon on February 8, 2018, where he earned a unanimous decision victory after ten rounds and won vacant WBU cruiserweight title. 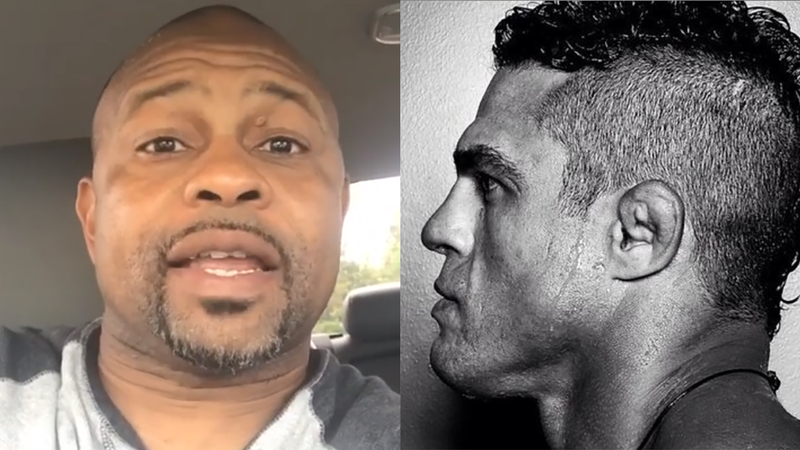 Would you like to see a boxing match between Vitor Belfort and Roy Jones Jr.? Breaking News: Vitor Belfort Is Not Retired Anymore!